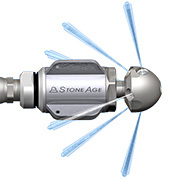 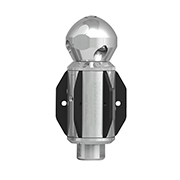 StoneAge offers optional heads that allow you to change our standard nozzle configuation. 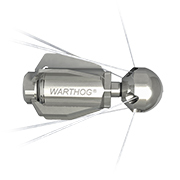 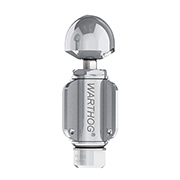 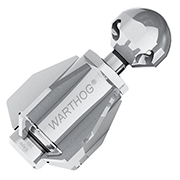 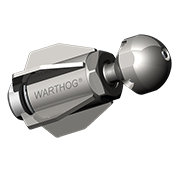 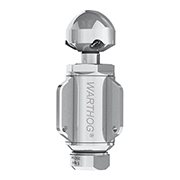 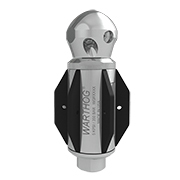 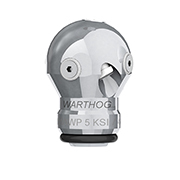 Your existing Wartjog jetting tool can easily be converted into a powerful descaling tool by simply changing the head. 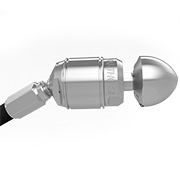 The descaling pattern features two additional jets at 105° combined with a plugged front port to ensure maximum power. 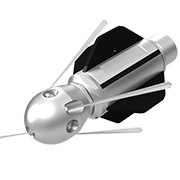 The result is enhanced removal of scale, tuberculation, corrosion products, soap and minerals. 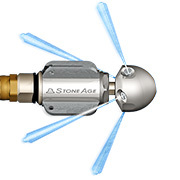 TECH TIP: We recommend plugging the front jets to help maximize descaling and pulling power when using this option. 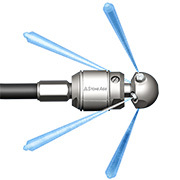 Descaling heads maximize jetting power to enhance removal of scale, tuberculation, corrosion products, soap and minerals.